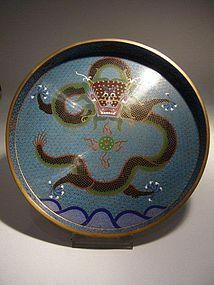 A magnificent email cloisonné opium tray, decorated with a dragon and extremely fine floral borders. China, ca. 1900-1920. Diameter 21 cm. Excellent condition.